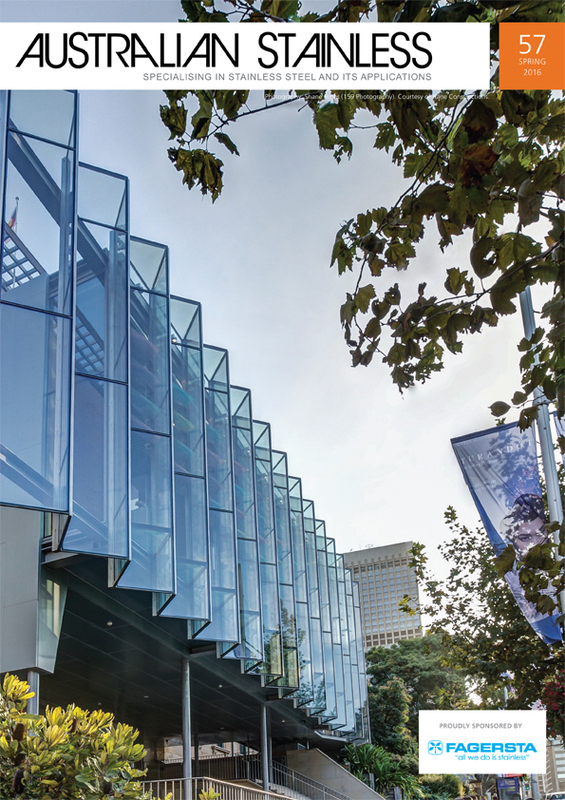 Australian Stainless is ASSDA's flagship publication, and is a leading industry magazine devoted to showcasing the unique diversity and durability of stainless steel. First published in 1993, Australian Stainless is a high quality, full-colour magazine, featuring carefully selected photographs ans well constructed text with high production values that convey the quality of stainless steel, its elegance and beauty. A well-respected industry publication, Australian Stainless has assisted and encouraged specified and end users of stainless steel, with a focus on local fabrication. In 2009, ASSDA launched Australian Stainless Online to provide a readily available news feed to a wider audience around the world. Visit www.assda.asn.au/blog/. Click here to view the 2019 Media Kit for Australian Stainless. Previous editions of Australian Stainless can be viewed below or you can look for articles relating to particular topics here using the global search function on our website.